Free smartphone and tablet games that offer in-app purchases for additional content are to be scrutinised by the Office of Fair Trading, it was revealed on Thursday night. Following high profile incidents where kids have racked up huge bills on their parents' accounts, the OFT will investigate whether the purchases are "misleading, commercially aggressive or otherwise unfair." Last month an eight-year old boy bought £980 in virtual donuts in The Simpsons: Tapped Out game, while a 5-year-old Bristol boy also spent £1,700 on Plants vs Zombies without his parents realising. Now the watchdog has encouraged more affected parents to come forward, while it has also written to games developers to ensure these titles, often marketed to kids, are abiding by the rules. As well as the 'accidental' purchases, the regular said it was also concerned that parents are coming under pressure from kids after allowing them to download seemingly 'free' games only to realise there's a fee to be paid to access anything more than the most basic content. Cavendish Elithorn, the spectacularly-named senior director for goods and consumer at the OFT said: "We are concerned that children and their parents could be subject to unfair pressure to purchase when they are playing games they thought were free, but which can actually run up substantial costs." The OFT probe will not look into the mechanics of buying the in-app purchases on iOS and Android devices, but rather at the fairness of offering them in the first place. The Guardian reports it will be paying close attention to "whether these games include 'direct exhortations' to children – a strong encouragement to make a purchase, or to do something that will necessitate making a purchase, or to persuade their parents or other adults to make a purchase for them". The initial findings and proposed course of action will be published in October 2013. The OFT says it has no designs on banning in-app purchases, but wants to ensure rules are being followed. 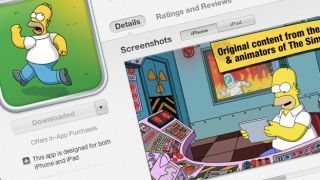 Following the controversy Apple has refunded several App Store users for the unauthorised purchases, while it has also added an 'includes in-app purchases message on the game's download page. In the United States it has been required to set aside a fund of $100m (around £60m) to reimburse parents who've been similarly affected. If users can prove they didn't give their kids the iTunes password then they're entitled to a $5 iTunes gift voucher, while any purchases over $30 will be fully refunded.